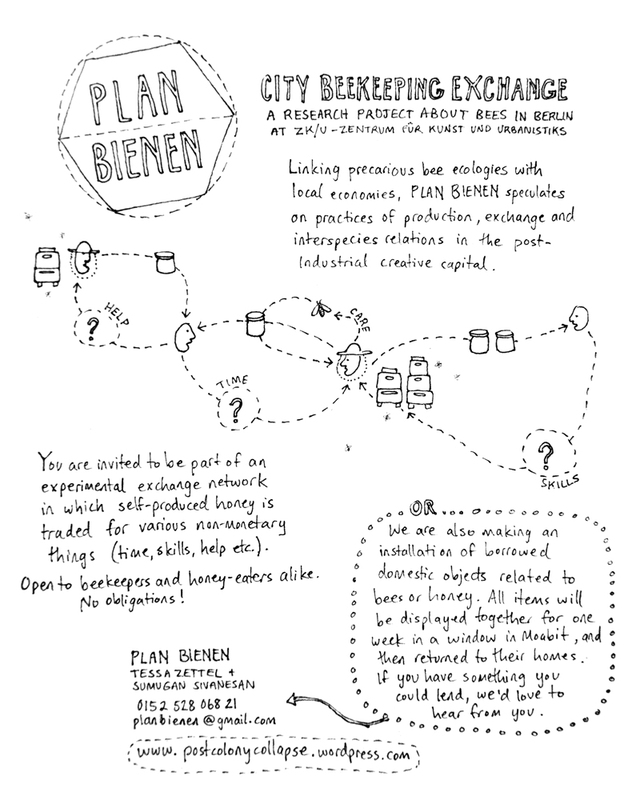 As part of their research, the artists invite you to be part of an experimental exchange network in which self-produced honey is traded with interested parties for various non-monetary things (time, skills, help etc.). 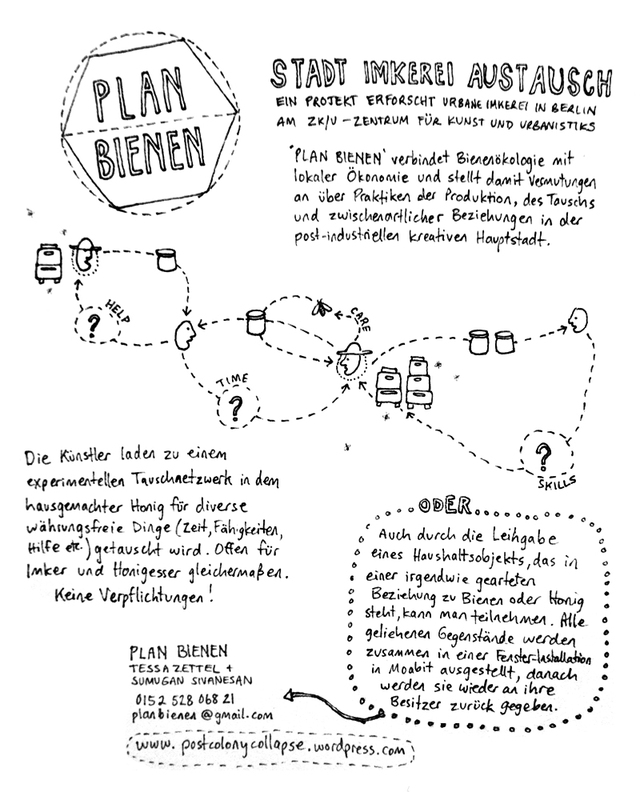 Previous exchanges have included singing lessons, translation services and assistance with honey harvest. Each exchange will be commemorated in a special limited edition Notgeld banknote. Open to beekeepers and honey-eaters alike. No obligations! Begun over 3 months in 2014, the network was picked up again in summer 2015.